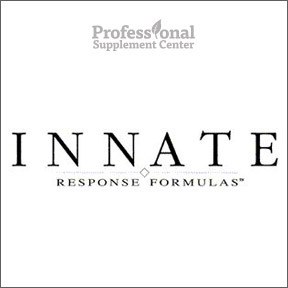 Innate® Response Formulas creates and manufactures clinically driven foundational and nutritional formulas in order to provide therapeutic solutions for wellness. Innate® products focus on targeted ingredients integrated with whole foods, resulting in a truly unique, biologically active, nutrient delivery system. Their mission, as a leader in whole food nutrition, is to provide fresh, whole fruits and vegetables, carefully dried and complexed with essential nutrients and delivered in a bioavailable form that the body will recognize as food. Innate® Response sources the finest whole foods, which must pass extensive scrutiny to meet quality standards. Located in New Hampshire, their ISO certified manufacturing facility is equipped with state-of-the-art analytical and manufacturing equipment to ensure the potency and purity of their vitamin, mineral and phytonutrient formulas. All products are rigorously tested both in-house and independently for allergens, pesticides, herbicides, heavy metals and microbes. The vast majority of their formulas test free of gluten, dairy and soy. Here is a sampling of our customers’ favorite supplements from Innate® Response. For more information, please call or email Professional Supplement Center. To view the complete line of products, please visit professionalsupplementcenter.com. Adrenal Response® – This popular product supports a healthy stress response with clinically studied Sensoril® Ashwagandha extract and traditional adaptogenic herbs, including rhodiola, American ginseng root and holy basil. 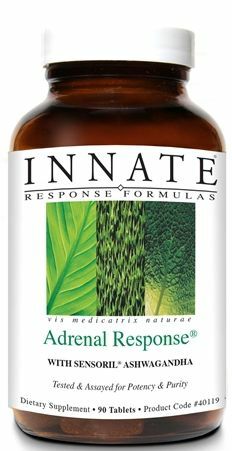 Our customers report reduced anxiety, increased energy and an overall feeling of wellness when taking Adrenal Response®. Gluten, soy and dairy free, vegetarian formulation. One Daily Cap – Formulated exclusively with select whole food concentrates, One Daily provides a synergistic and comprehensive spectrum of essential vitamins and minerals, bioactive enzymes, amino acids, probiotics, immune supporting herbs and fruit phenols in support of optimal wellness and vitality. Gluten, soy and dairy free, vegetarian formulation. Flora 20-14 Ultra Strength – Each capsule provides 20 billion active cells of 14 different strands of probiotics for foundational support of the gastrointestinal system. Designed to repopulate both the large and small intestine and encourage healthy bacterial growth, Flora 20-14 supports intestinal and immune health and bowel regularity. Gently filtered to remove common allergens. Wheat free. Renewal Greens – This professional strength formula contains a proprietary blend of highly bioavailable certified organic greens, plus 41 organic high ORAC value antioxidant fruits and vegetables, digestive enzymes, soluble and insoluble fiber, botanicals and non-dairy multi-strain viable probiotics for cardiovascular, immune and overall wellness support. Gluten and dairy free, vegan, organic plant-based flavored formulation. This entry was posted in Home and tagged Adrenal Response, Flora 20-14 Ultra Strength, Innate Response Formulas, One Daily Cap, Professional Supplement Center, Renewal Greens, Vitamins and supplements, www.professionalsupplementcenter.com. Bookmark the permalink.